Richard Muther. 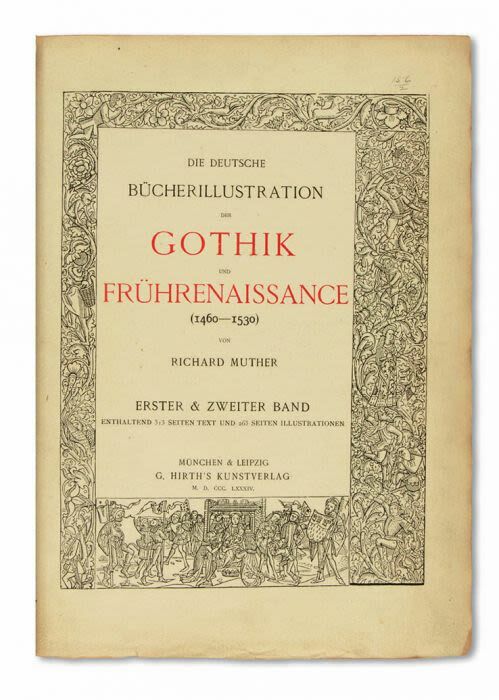 Die Deutsche Bucherillustration Der Gothik Und Fruehrenaissance (1460-1530). Two volume bound in one. Second volume illustrated throughout. Uncut copy. pp. (6), xvi, 297, 5; viii, 263. Contemporary half morocco, scuffed. Folio.